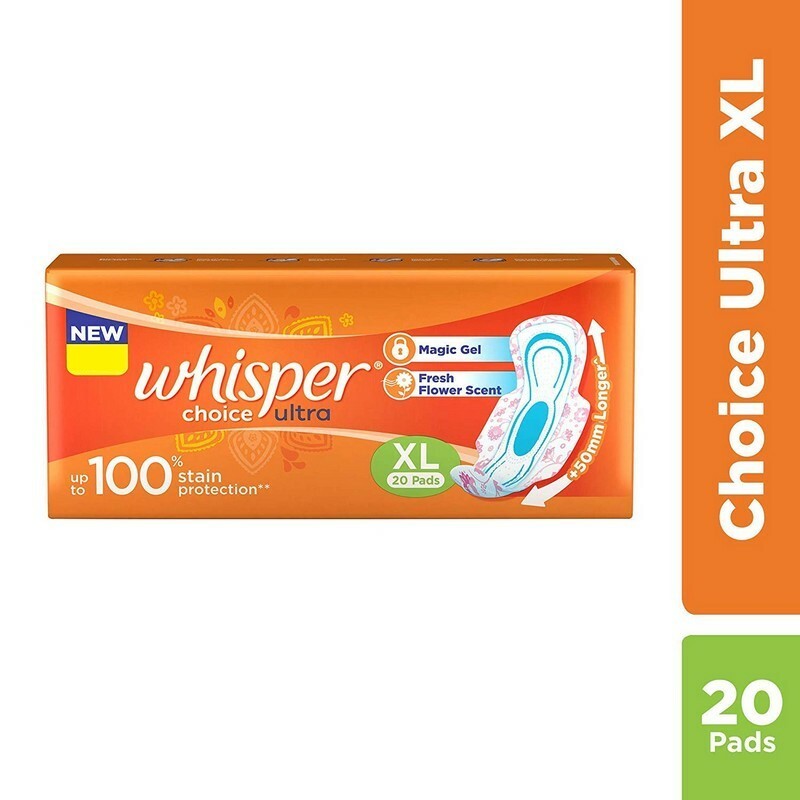 A pack of 20 sanitary napkins. This pack of sanitary napkins prevent staining and leakage during menstruation. Its advanced gel formula absorbs the fluid quickly, providing dryness and comfort. It is skin-friendly and does not cause rashes.